Today mark’s the 30th anniversary of International Day of Peace and Ailsa over at Where’s my backpack has picked a fitting theme for this week’s challenge: white. 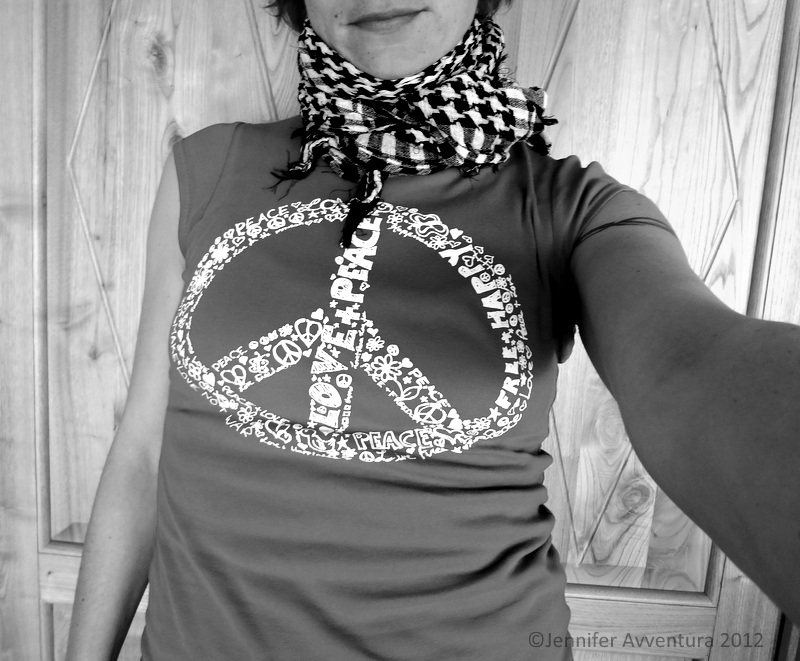 Very nice – the peace sign is a fun touch! Love the image of the Madonnas Jennifer! And the beautiful quotes. Beautiful photos and post! I especially love the first one! Is that in Olbia? Peace is of the utmost importance at all times in our world! Have a beautiful peaceful day! No not Olbia but on the other side near Isola Rossa. Meaningful photos, and I love the quote by Mother Theresa. Love that Mother Theresa quote, Jennifer. Lovely white pics. 🙂 Have a great weekend. Great entry, Jennifer. 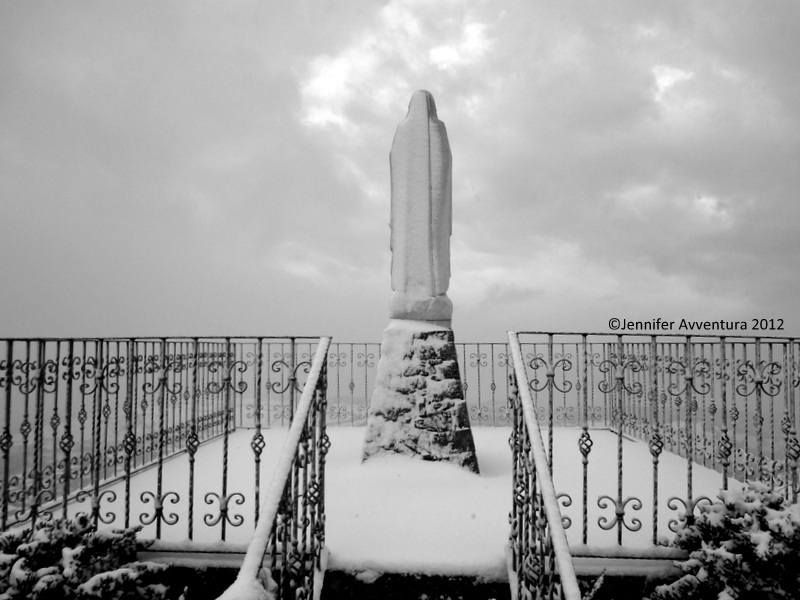 I love the first photo of the statue in the snow – where is that? That Madonna is in Trinita D’Agultu. She sits at the very top of the mountain overlooking the town.